Disclosures to other health care providers, including, for example, to patients’ attending physicians. Submission of claims and supporting documentation including, for example, to organizations responsible to pay for services provided by the organization. 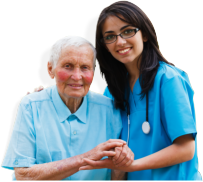 Disclosures to conduct the operations of the organization, including, for example, sharing information to supervisors of staff members who provide care to patients. 2. Below is a description of each of the other purposes for which the organization is permitted or required to use or disclose protected health information without an individual’s written consent or authorization. 10. Individuals may complain to the organization and to the Secretary of the U.S. Department of Health and Human Services if they believe their privacy rights have been violated. Complaints should be directed by email at OCRcomplaint@hhs.gov to the Office of Civil Rights at the following telephone number: 1-800-368-1019. Individuals will not be retaliated against for filing a complaint. 11. For further information, individuals should contact Maisha Kenyatta, Administrator at the organization at the following telephone number: 517-586-4013. 12. This Notice is in effect as of August 2014.